Blood travels in the legs from feet to the groins and further to the heart. This one directional blood circuit is all due to valves in veins. The other way, people with varicose veins have an opposite blood flow from groin to foot. This causes blood reflux into superficial veins in high pressure. These walls are easily distended and result in vein enlargement. Thus, spider and varicose veins are dilated shallow veins as a result of high pressure blood reflux. For successful healing of varicose veins, reflux source should be stopped or else reflux may come back and can recur. An ultrasound study done by the doctor can identify the reflux source. After this, the physician can tell you about the laser treatment and you can schedule it as per your ease. Laser is an alternative treatment to surgical stripping. Here the laser energy is pushed in the vein and it is closed permanently. Removing saphenous veins is not an issue, because only a few of them flow through superficial veins while others pass through deep veins. Endovenous and laser by dermatologists are both different from each other. Laser by dermatology involves moving of flash light on the skin. This is best for small veins like spider veins. Endovenous laser is useful for big veins that bring about reflux. Obstructions in deep veins are contraindications for endovenous lasers, but rarely. Patients with thrombosis in iliac as well as those with femoral veins need to restore these veins. They use saphenous veins like collaterals. In case these are removed, they can cause severe edema and venous claudication due to venous flow from limb. There are limited points to compare laser and radiofrequency, but both the procedures are good. Radiofrequency treatments have noticed certain skin complications and recurrences. On the other hand, laser procedures take only 3 minutes while radiofrequency consumes 25 minutes. Laser system used by the center should be FDA approved. It should be of a renowned company. Laser treatments are quite old and its clinical application is very safe. Lasers involve minimum risks and are usually self resolving. The two main issues are recurrences and occurrence of paresthesias. This is numbness in knees or ankles. It is not painful just numb. Most of the companies cover laser procedures as well as radiofrequency in their plans. 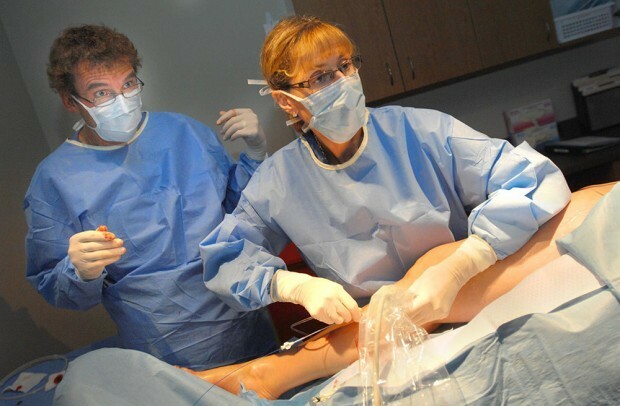 Thus varicose vein treatment can be easily done under insurance. They will reimburse all the cost related to medical treatment and all the symptoms can be relieved. Spider veins without symptoms may not be covered in insurance, but you can get the treatment at varicose veins Los Angeles. This is a painless procedure and very safe and is also efficient. The biggest advantage is you can return to normal immediately. It is best suggested for people suffering from varicose veins, since years and do not want to choose surgical stripping.